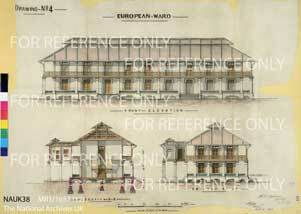 The 'building plan' category is new to Visions of Penang online archive and to date includes design proposal plans and schemes as well as building plans from the mid 1880s, drawn when 'a computer' was someone who added up and calculated math rather than a machine for Computer Aided Design. Hand drawn and often beautifully coloured they are a fascinating insight into both the drawing and building techniques that has all but vanished. Penang may not be well known in Malay manuscripts or as a place for its writing and production; nevertheless we cannot overlook its significance to the history of the state and its regions. Apart from the Francis Light Collection, a significant number of manuscripts are found to have been produced and copied on the island beginning early 1800s. 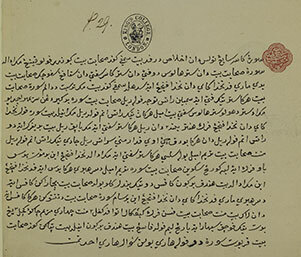 Notwithstanding scribes and copyists contributing to sustaining literary life and culture, the vast number of Malay manuscripts kept in libraries and universities in Malaysia and abroad would bear relevance on the social, cultural and intellectual landscape of Penang. The original Visions of Penang online archive was a collection of historic survey maps of the Island and mainland of Pulau Pinang, Penang, or Prince of Wales Island, as it was once known. The Survey Maps also included the mainland section of the state - Province Wellesley, now known as Seberang Prai. Over time VOP has sought permission to display other digitalised surveys, maps and charts from different archive collections and has assembled them here on the website. The earliest photograph currently in the VOP archive was dated 1869 – these are wonderful images of life and architecture as the Straits Settlement of Penang grew over the years. Our first collection in this category came from the Penang State Library. Other photographic collections have been added in order to create a comprehensive photographic record of Penang's history and its peoples. Prior to the advent of photography newly settled lands were often depicted in paintings – VOP hopes to expand this category over time to include many more paintings, and sketches. Long before the Internet people sent greetings to their friends and families through letters and postcards. The Wade Collection is the first batch of postcards to be catalogues and uploaded, and there will be more to come.